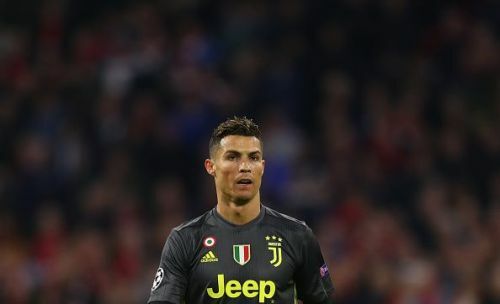 Cristiano Ronaldo's reign as the conqueror of the Champions League appears to have met its end as Juventus succumbed to a 1-2 defeat at the hands of Ajax in the Allianz Stadium last night. The 34-year-old's first-half goal was not enough to help the Old Lady secure a victory as goals from Donny van de Beek and Matthijs de Ligt fired the young Dutch outfit to the semi-finals of the competition. Ronaldo, who was brought to Turin to strengthen the club's European title bid, famously overturned the Bianconeri's two-goal deficit against Atletico Madrid with a spectacular hat-trick in the second leg of their Round of 16 fixture. He also found the back of the net in the first leg of the quarter-final at the Johan Cruyff Arena. "Ronaldo has given us a lot over the course of the campaign, but when you reach the quarter-final, you need every player." "I've always said that to win the Champions League, you need to reach a certain stage in good form and with good fitness levels. We've been in a bit of an emergency situation for a while and that can only be sustained for so long."